Beautiful, “get-noticed” Dreaming of the Sea necklace. 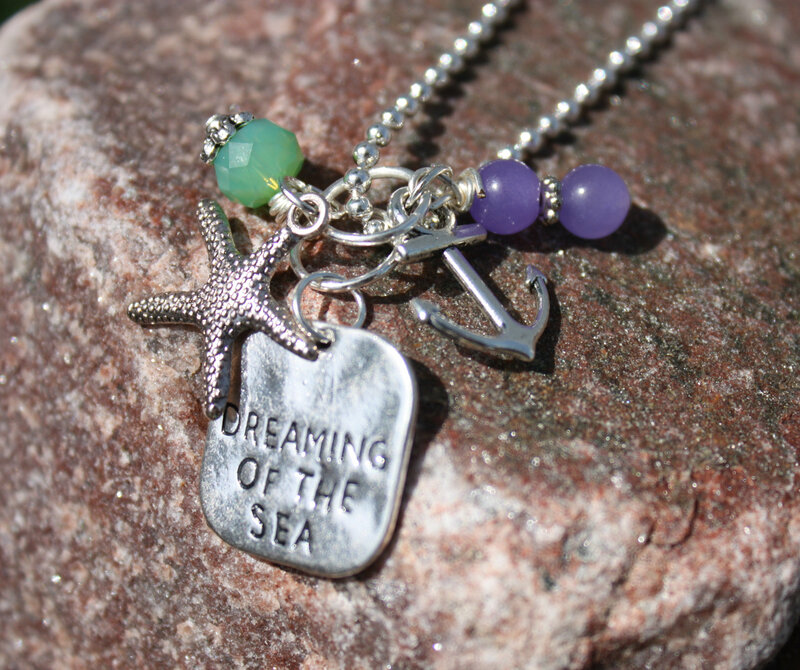 It has Dreaming of the Sea charm with a starfish and anchor accented with a green/sea glass bead and 2 purple beads on a 24″ ball chain. Categories: Beach, Surf Sun Necklaces, Beach, Surf, Sun Jewelry, Necklaces, Shop.